Aren't you grateful that we have a God who does not let us wallow in our immaturity, our disobedience, or our complacency? But we have a Father who disciplines us, who teaches us, who reveals to us, slowly but surely, the better way. Plus, He does not assign us a growth task and then leave us on our own to complete it and turn it in, like some online algebra course instructor. No, He tutors us, guides us, speaks truth to us, corrects us, and encourages us along the way. He indwells us through His faithful Holy Spirit and gives us all that it takes to improve, grow up, learn, and change. Not only did He create us before the foundations of the world, and not only did He form us in our mothers' wombs, but He continues to create in us that which is yet unformed: character, godliness, the fruit of His Spirit. Today I praise God for growth. I am thankful that I can look back and see progress. I am thrilled that I am not who I used to be or yet all I will be. I am in progress. I am under construction. What do you see when you look in the rearview mirror of your life? Do you see lessons learned, pits abandoned, mountains climbed, victories hard won, and progress, even if it's a little at a time? I hope you do. I bet you do. Sometimes we girls think if we don't make instant progress, then real change isn't coming. But that's not so. There is a beautiful reality called imperfect progress. The day I realized the glorious hope of this kind of imperfect change is the day I gave myself permission to believe I really could be different. Reading her words, I realized that if the enemy dupes us into thinking that we have not changed any in the past, then we will not likely change as much as we can in the future. But if we have the attitude of gratefulness and awe about the changes God has wrought in us already through His supernatural power, then we will be more prone to have hope for change in the future. So look in the rearview mirror again. Squint if you need to. Ask someone else to look back that way with you, if necessary. Don't you see at least a glimpse of completed works? Thank God for it! And then set up one of those orange "Under Construction" signs in your mind's eye. You are a work in progress, indeed. Be "cautious" about criticizing yourself with words like "I'll never learn" or "here I go again!" Instead, give yourself some grace and some hope. God is at work! Praise Him! 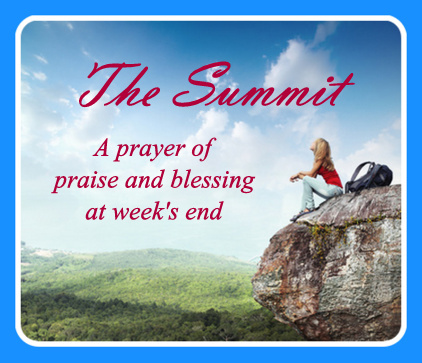 What are you praising God for this week? 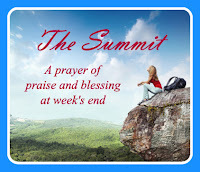 I'd love to join you in that praise! The more applause the better, right?